Welcome to my online art portfolio! My name's Alexa Coleman, I'm 17, and I'm located in Salt Lake City, Utah. All my artwork is original and I really enjoy the process of creating it. Enjoy! This portfolio contains my original copies of art created with sharpies. This portfolio contains all my artwork created with colored pencils. 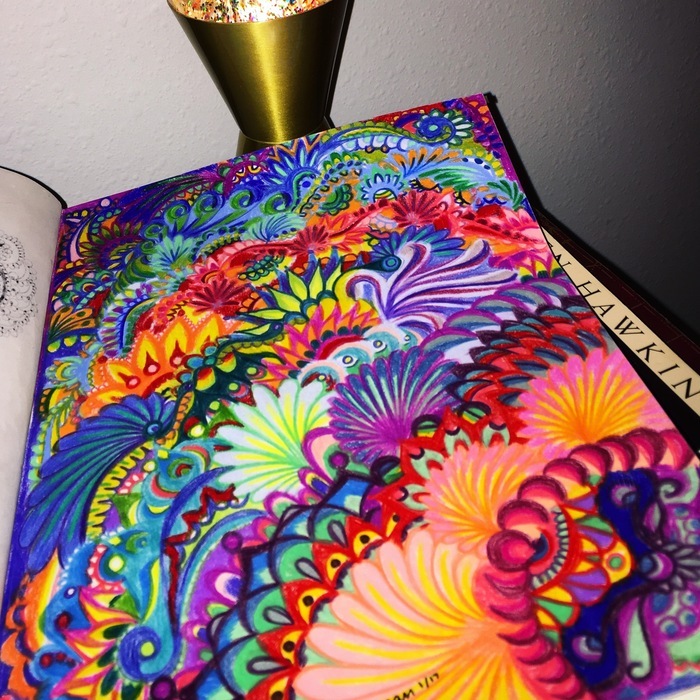 This art was made almost entirely with prismacolor pencils and took around 3-4 hours to complete. It's called multicolored sediment because it's very colorful, and also the designs, in my opinion, resemble layers of sedimentary rock. This portfolio displays all my paintings, which are usually painted with acrylics unless otherwise stated. I named this painting Cynosure because it can be mesmerizing to look at, and it's often emphasized due to its bright colors and complexity. 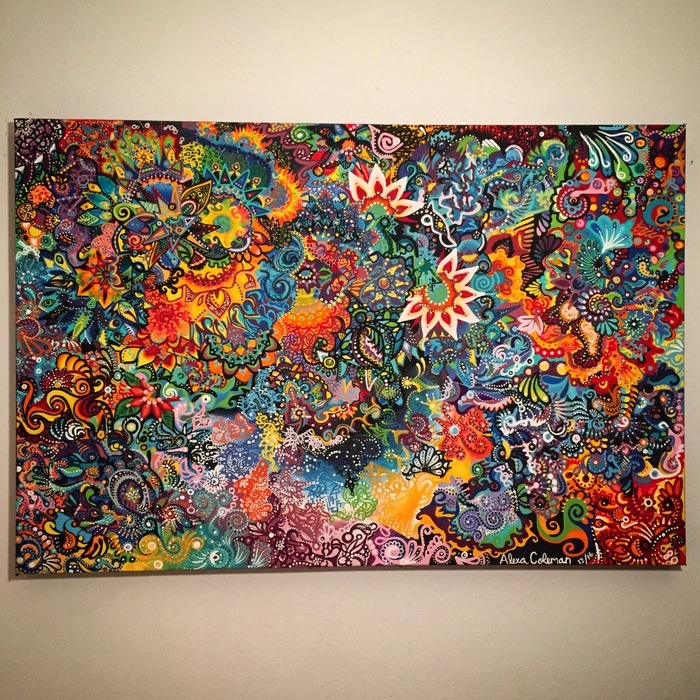 It took around 6 months to complete and its painted with acrylics.